F11 Touring Discussion Discussion about the touring version of the 5 series, also known as a wagon. I have a problem with my F11 530D 10/2010! 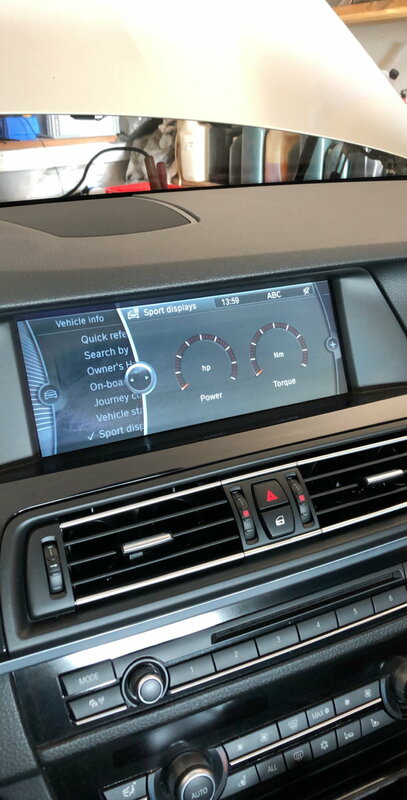 I have used Esys to code sport display on my CIC headunit, but i can only se the display and the needles but there is no numbers on the screen and the the needles dosen’t moves..
What’s wrong or what have I missed? Last edited by Joonazm; 04-01-2019 at 05:24 AM. Subs not working after new CCC installed? Amp is not the problem. Any ideas? Bmw 5E60 lights on display not showing forbe not working gear not shifting.